SteamWomen: SW8: This Way To Sarah - Lady Egress! SW8: This Way To Sarah - Lady Egress! 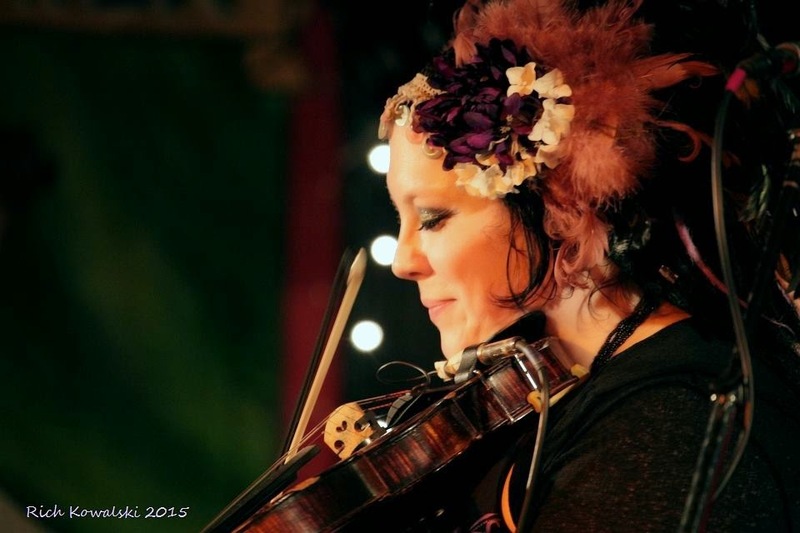 This week we hear from Sarah Shown aka "Saddle" Sarah or Lady Egress - from This Way to the EGRESS! 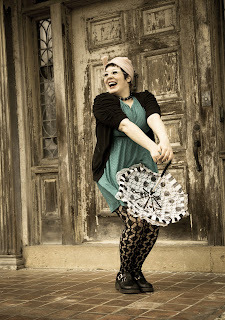 Sarah comes to us by way of Bethlehem, PA - so East Coast Steampunks should be very familiar with her work - West Coast folks, watch out! I am the partner, leading lady, piano/violin player and songstress of This Way to the EGRESS. I am a multi-tasker, turd polisher, DIY warrior. I was raised in a musical family and have been playing since I was 7. I met Taylor and teamed up with him in EGRESS in 2008. We were so diluted by the current musical temperature that we decided to create a band where we didn't adhere to any boundaries and created music that we would like to hear. I think the most steampunk thing about me is I am rather anachronistic. I was actually lucky and steampunk found me. 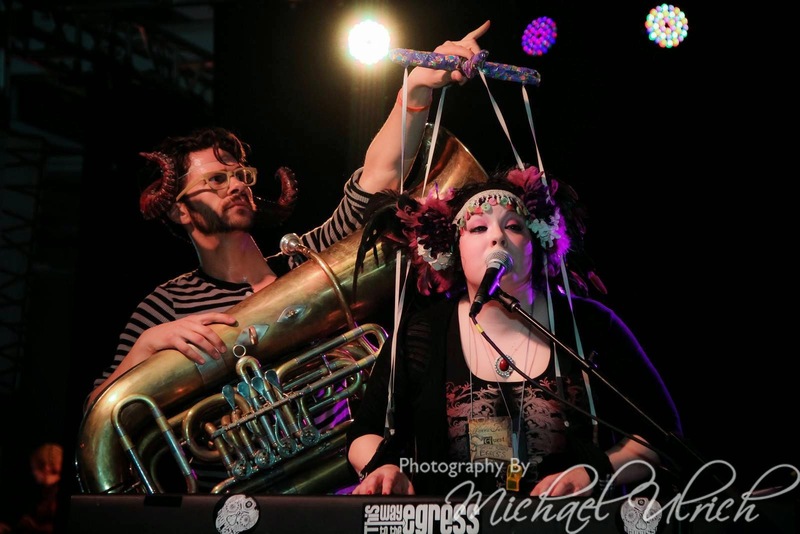 In 2009 EGRESS was approached to play a handful of steampunk events. It was through those shows that we learned about the subculture. It was really awesome to find that a lot of what we already loved and had interest in was all coming together in a scene. That there weren't boundaries about what you could be like there are in a lot of other scenes. The steampunk community has greatly supported and adopted EGRESS and myself as it's own even though at times we seem to march to our own beat. That is a part of what makes it so great, we can create our own reality. I suppose it depends on what I am working on. It rather bi polar actually. My creative process' change according to my moods. Mostly when it comes to song writing however, songs come one of a couple ways. The lyrics first and then I put them to music, the music firs and then I write lyrics to it or sometimes I sit down with a concept or a purpose, like "I am going to write about what's happening in the world and how it effects me" or I am going to sit down and use this new scale I have been working on and create a song from that. One thing that is consistently the same is that I like to create things my friends and I would like to wear or listen too or look at. A lot of times its just an organic process I give it over to a higher place and it creates it's self through me. Some of my biggest musical inspirations are my experiences and travels. My emotions and humanity. I have experienced a decent amount of death that seems to weigh heavily on my every day life. I draw quite a bit of inspiration from our fans and their stories. My friends and family, especially my mom. My muse, Taylor. He has an incredibly refreshing approach to live and it inspires me daily. I am incredibly inspired by stories about change and self awareness. I think that is the most difficult thing for lots of folks to do and I love it and watching the transformation and sometimes I am lucky enough to be a part of that transformation. I am heavily influenced by film and the films I like, mostly dating back to my teen years. Lastly, Tom Waits. Be true to yourself. No matter what and at all costs. You are in a great scene for that!! If you don't know how to do something or make something, Learn how. The best thing about steampunk is it is largely a DIY community. If you don't have the interest in learning how to make a pair of goggles or a mini top hat than support the arts! In fact support the arts anyway. Music and Art and Words are suffering in our culture at large, don't let it become a thing of the past. Give that gift to the future by becoming a part of the movement. We don't have to just eat what society force feeds us, we can be in charge by supporting the things we think are important.